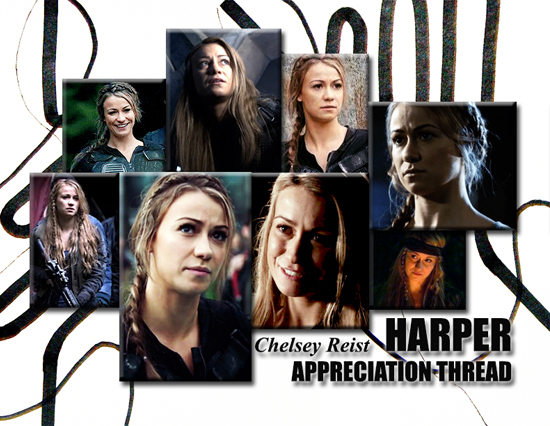 Fan Forum > TV Shows - Present > The 100 > Harper McIntyre [Chelsey Reist] #3 ~ "I know what it's like to be locked up and afraid." Harper McIntyre [Chelsey Reist] #3 ~ "I know what it's like to be locked up and afraid." Chelsey is Canadian and was raised in Edmonton, Alberta. Chelsey got her start as a trained dancer in Disneyland. She is a trained dancer of 16 years. Chelsey is an avid weightlifter. Chelsey starred in a horror film called No Tell Motel. Chelsey is a pizza aficionado! Harper was supposed to vomit to death in "I Am Become Death." A scene where Harper kissed Jasper was cut from the season 1 finale. Harper is the only female member of Bellamy's militia known to be alive. Harper's last name is derived from that of one of the show's writers, Wade McIntyre. Harper is the second most frequent recurring non-main character, after Miller. - Stars can't shine without darkness. - Pain is temporary, but strength is lasting. "You deserve the deepest love you crave. 2. 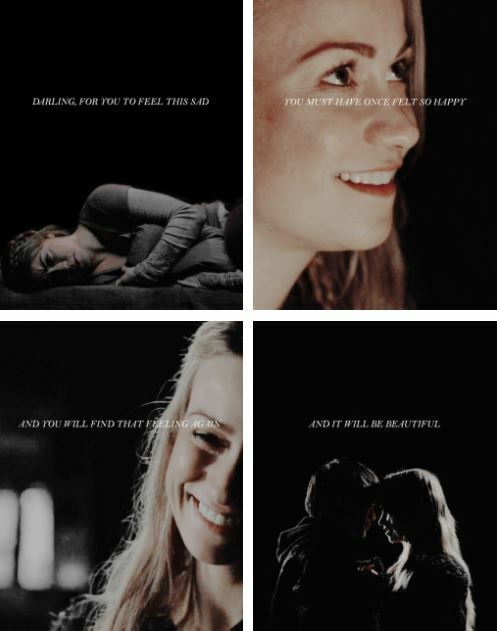 The writers may have forgotten about her in the 5x04 script, but we didn’t. 3. "I know what it's like to be locked up and afraid." You're welcome, girls. And yes, very pretty OP! April did a great job with it. It's a one day con from the Dystopia organizer and the con is today. TFTNT! I’m glad you guys like the OP. Gotta say, I’m kind of proud of it. I love Chelsey’s style. She has that total beach girl look with her hair, too. So pretty.